She must have been about ten, maybe a little younger. Holding her daddy’s hand she walked solemnly down Main Street next to me, surrounded by hundreds of other people, all headed toward the exit. Bright colors fired both sides of the street; joyous music came from nowhere and yet everywhere. 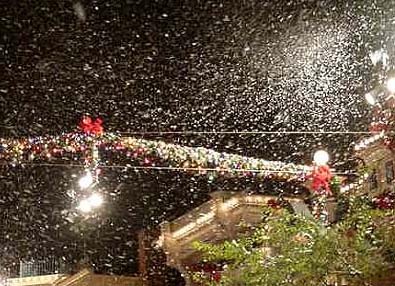 Imagineered snow flakes floated in the air all around us. We all wore silly grins for no reason at all except that we were together, ageless and happy. CarolAnn and I celebrated our 30th anniversary at Disney World in Orlando this past week. For all the technological magic and excitement we found everywhere we looked our greatest pleasure was watching young families and remembering our own. The small moments that bring families closer together work their magic on everyone nearby. We love being collateral beneficiaries of joy and sharing with each other the children we still are at heart. Hang the expense, it’s worth every penny and more. 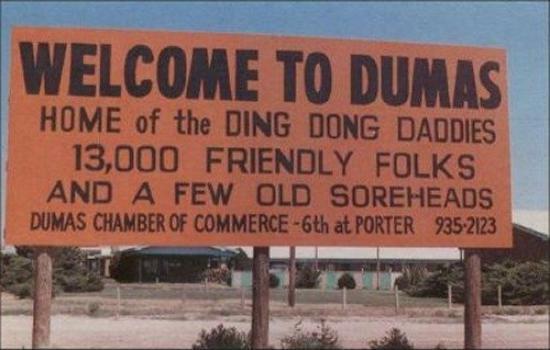 Driving northwest from Dallas into the desolate Texas panhandle we finally came upon a sign announcing our entrance into a place called Dumas. The boy read it aloud. Well, being eleven years old our grandson, Isaiah, thought that was very funny and he giggled for a long time. We all did. Then, for the rest of the trip to Wyoming and back to Dallas, Isaiah, CarolAnn and I called each other “Dumas” from time to time and then we all giggled and snorted for a few more miles. Shared laughs of our own creation are moments we enshrine in our hearts. It’s the stuff a boy will remember his entire life. ? Today is the Dumas Kid’s 15th birthday.? We’re going to phone him and tickle his memory. The idiocy of ageism has angered me for as long as I can remember, decades, not just in recent years. The doorway to sexism, racism and all other isms is here, in our childish disrespect for other generations on either side of us. Shocking as it may be to some of you whippersnappers, we old farts understand how you feel and think. We grew up as hippies, peace and love and all that. We were going to change the world. 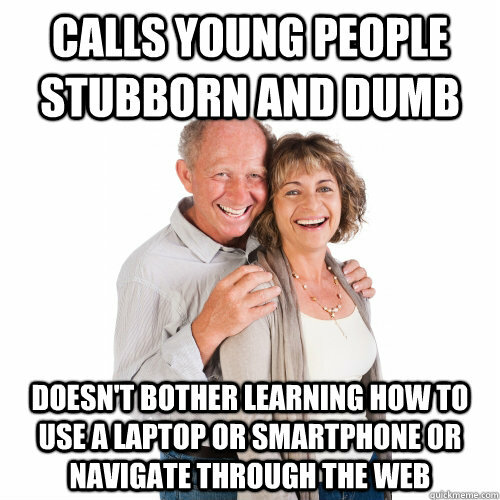 At the time we thought our parents were “square” and backward. Every generation does. But we still loved and respected them. 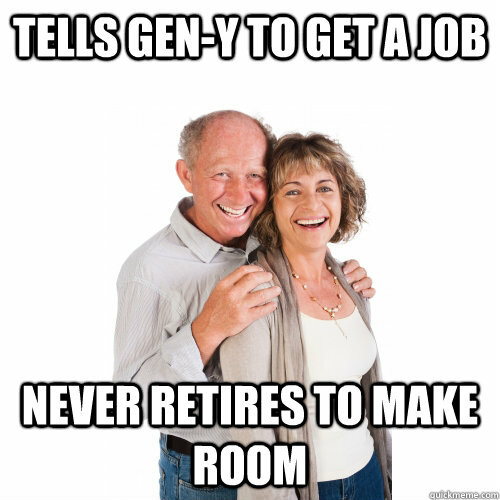 Gen Y is apparently defined as people born between 1980 and 2000. Good God, some of you are in your mid 30s and still bitching and whining. Y’all are on your own. Personally, I accept very little credit for my children’s wonderful qualities and no blame at all for the decline of American society, our government and our family values. My old fart friends and I have worked hard to live honorably and remain relevant. We succeed in varying degrees but we can only fail by the self-righteous judgment of you, whom we coddled and still love. You will ultimately define us, but at least have the decency to wait until we’re dead. Live your life, fix your world and if you can’t show a little respect, just leave us alone. And, stay off the lawn. Last week Carolann and I enjoyed our first long road trip in several years. We drove from Dallas to West Yellowstone, Montana, and stayed off freeways except for one short stretch of I-80 across southern Wyoming. Otherwise we took back roads through the Heartland and I highly recommend it. It refreshes the spirit. You’ll meet wonderful people whose regional natures will amaze you, different as they are from one place to the next. Texans and Oklahomans tend to be more gregarious than Kansans and Wyomingites, who are friendly but wary. Coloradans are happy to meet you, happy to serve and happy to see you leave. Taking days rather than hours to get from here to there renews your sense of awe in the sheer size of our country that travel by air destroys. You have to suffer through several hundred miles of sagebrush and alkali to appreciate it, if your attitude will allow. Nearly the entire distance is void of a usable data signal for smart phones and digital tablets. That, too, will soon be a thing of the past in the name of technical advancement. For now though, in great chunks of the American West, Facebook will have to wait. Words With Friends becomes Words With Spouse. With no option but to actua lly talk with each other Carolann and I had a wonderful time made even more enjoyable by the presence of our not quite 12 year-old grandson, Isaiah. “That’s not right,” I told him. “You’re mispronouncing it but it’s not your fault. The town used to have a ‘b’ in the middle of its name. It’s called ‘Dumbass,'” I said seriously. Isaiah thought that was very funny. He giggled for a long time. We all did. 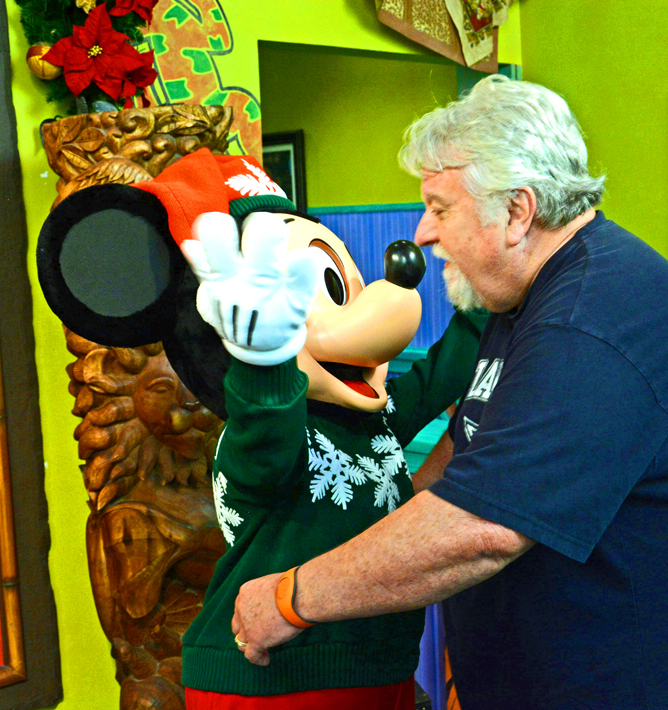 Then, for the rest of the trip we called each other “DOO-mas” from time to time. This is the stuff a kid remembers for his entire life. It’s what makes parenting and grandparenting especially rewarding. A quip and a laugh in an innocent moment is a moment enshrined for decades. None of us will remember the frustrating times he fussed and pouted about having to take a bath or go to bed. And though we’ll always treasure the pictures of Isaiah and his Nana in front of Yellowstone Falls and of him holding a long fork with a flaming marshmallow for a campfire s’more burning out of control, it’s the shared laughs that fill our hearts for the rest of our lives. No matter how old he and we get, Isaiah will now and always be the Dumas Kid and we will always love each other more for it.